How do you protect your passwords? How many passwords do you have? Do you share the same password between two or more securables? I used to be so proud of my passwords. Between twelve and sixteen characters – no words contained. That’s right. With numbers and characters. And symbols! People who saw me type in a password laughed and knew I was a geek. Then I had an account of mine hacked. And the fact that I shared that 14 character alpha-numeric password with other securables suddenly took on a whole new meaning. It was at this point that I decided to start using software to manage my passwords. I had passwords, application keys, and the likes stored all over in various formats. Then there were those passwords that I was always having to retrieve through some mechanism that usually involved waiting for some email and taking further steps. Password Tote has taken care of these things for me. Granted, I’m biased – the software is written by a co-worker and friend of mine. He’d asked me for years to use the program – but, as I stated, I had always been confident in my passwords. 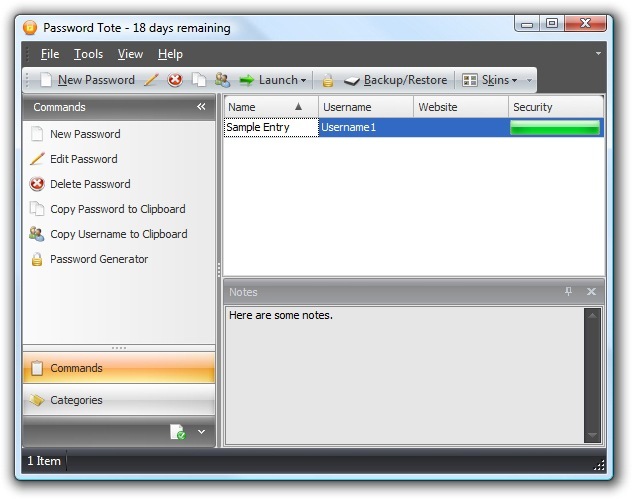 I started using Password Tote a couple of years ago and have never looked back. 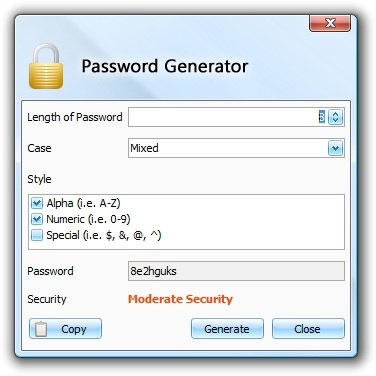 It allows me to generate passwords, visually judge their strengths, set expirations on passwords (with desktop notifications), keep track of associated email addresses and secret questions, and all of those things that you would come to expect from password security software. But it also looks great. It has lots of nice themes, plus advanced support for both Windows Vista and Windows 7, including Aero glass support, task dialogs, and jump list support. And it has new “cloud” support, allowing you to save your passwords to, and restore them from, the “cloud” (securely of course). I’ve been told (repeatedly, as I’m pretty persistent) that there will be an online version as well as some sort of iPhone and/or OS X support in the future (I may be helping with the development, in fact). All said, I couldn’t recommend the software more. And, if you think your passwords are “good enough”, but aren’t using software to keep them strong, random, and secure, you are just biding your time! This entry was posted in Security, Technology on June 22, 2009 by Nathanial Woolls (Nate).